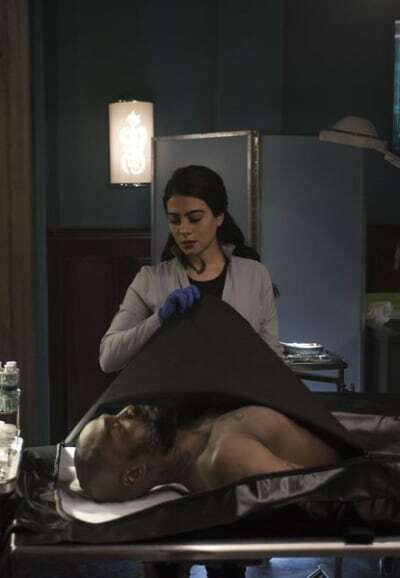 Jonathan is only one of the many problems on Shadowhunters Season 3 Episode 14. Clary and her friends just can't seem to catch a break. 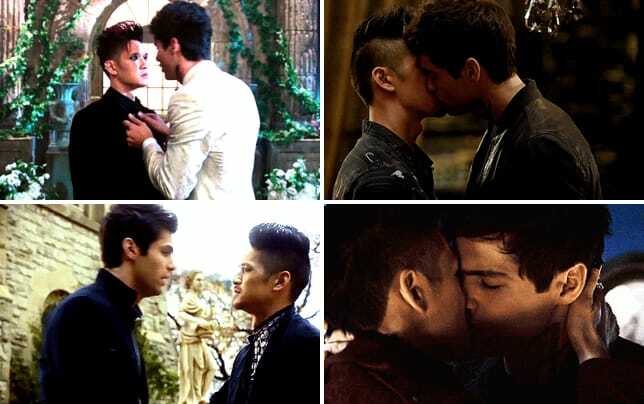 Being a Shadowhunter may be a dangerous line of work, but this is just starting to get extreme. Can someone please give these characters a day off? Without giving too much away, we're able to give you a tease of what's to come on Shadowhunters Season 3 Episode 14. But before we do, don't forget that if you're not up to date, you can watch Shadowhunters online right here at TV Fanatic! 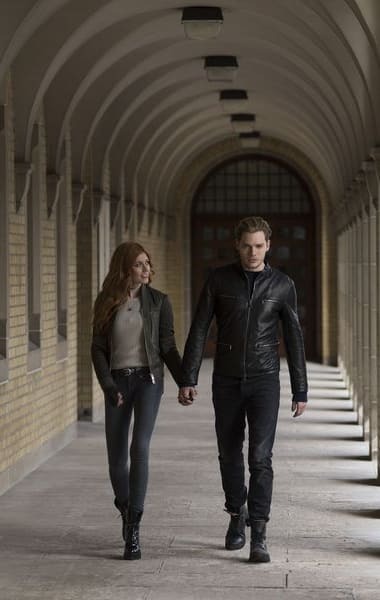 After the hell they've been through over the last few episodes of Shadowhunters Season 3, Jace and Clary finally get a moment to act like a real couple. Their date at the ice skating rink is a cuteness overload, and even if you don't ship them, there's no way you'll be able to keep the smile off your face. Honestly though, how could you not ship Clace? Especially after watching the purest scene in all of history. Unfortunately, the moment ends far too quickly as Jonathan is nowhere near ready to give up on Clary. And yes, it's all kinds of frustrating. 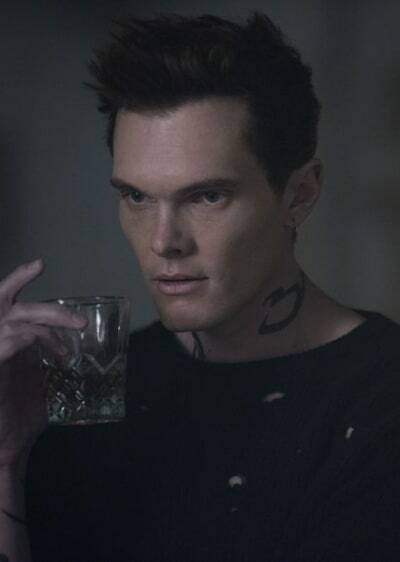 Jonathan's obsession with his sister has always been creepy, but on Shadowhunters Season 3 Episode 14 it hits uncomfortable heights. 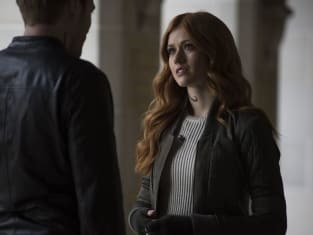 Clary deserves better than everything Jonathan has put her through, and we've got our fingers crossed that she'll get the opportunity to finally defeat him once and for all. Speaking of deserving better, Maia has found herself in a dangerous situation once more. Maia is already claustrophobic, so being stuck in a small space while her friend is bleeding out beside her is not something we would ever wish for her to go through. Maia needs to be protected at all costs. Even though she would be the one protecting us if it came down to it because that's just the type of person Maia is. If you don't ship Maia and Jordan, you might have a change of heart after Shadowhunters Season 3 Episode 14. Emotions are running high as any moment could be their last, so the audience really gets to experience a raw version of them. But will they make it out alive? You'll have to see for yourselves. And then we have Magnus. You can all let out a cheer. Magnus is featured heavily on Shadowhunters Season 3 Episode 14 and his scenes focus on his own story and struggles. Without his powers, Magnus feels like a shell of his former self. Magnus' explanation of what being a warlock means to him, somehow makes the audience feel an even deeper amount of sympathy than before. At this point, Magnus is desperate enough to seek help from anyone. Even if it means going to Lorenzo. But Lorenzo has never been one to do something out of the goodness of his heart. He's just not a very likable person in general. Do you know the old saying that all magic has a price? Well, this one might cost more than Magnus originally thought. The question remains, is it worth it? 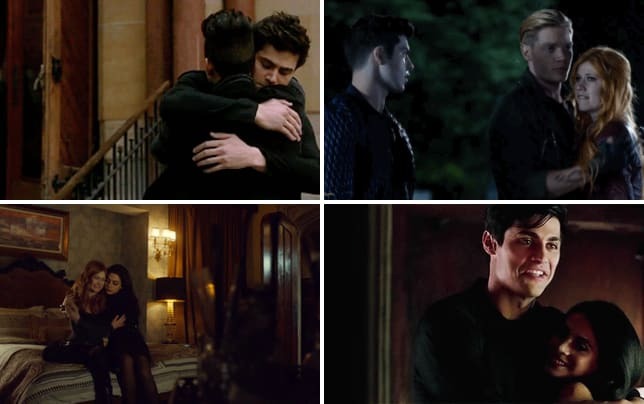 As usual, Alec supports Magnus unconditionally and will do whatever he can to help make his boyfriend happy. If you mess with Magnus, be prepared to face the wrath of Alec Lightwood. But there are some messes that just can't be cleaned up. Could this be one of them? 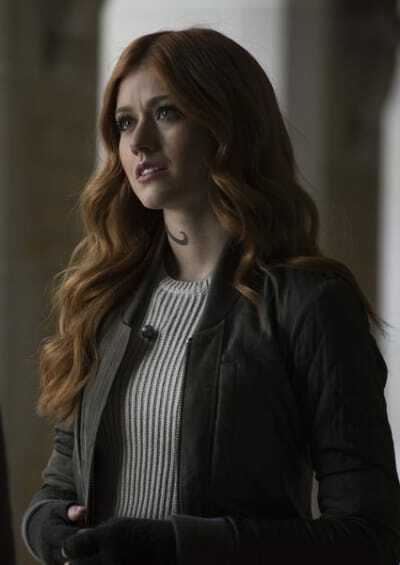 Isabelle is still certain that the Clave is up to no good, and she'll stop at nothing to prove it. She is pulled away from her work for a bit due to extreme circumstances, but if anyone can crack this case, it's Isabelle Lightwood. You've got this Izzy. Go save the world. Simon and Luke team-up? We're there. We also need to add Luke to the list of people who deserve better. Is there a rune to help people out with figure skating? Because Jace Herondale, the best Shadowhunter of his generation, needs it. Desperately. This episode's mood: Jonathan, stop. Just...stop. Really though, everything would fall apart without Isabelle Lightwood. Who needs to call 9-1-1 when you have Izzy on speed dial? Enjoy the fluff while you can, because there's pain coming your way. 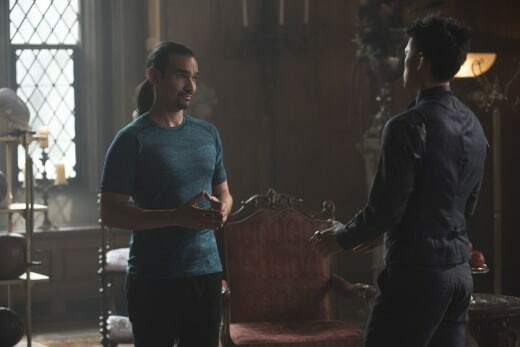 Alright, Shadowhunters fans, what are your predictions for Shadowhunters Season 3 Episode 14? Let us know in the comments section down below!